When you ask a group of students how they feel about group assignments, most will state that they are not too fond of them. They will remember that most of the work was placed on their shoulders. Looking back at my own experiences with group projects, I can confirm this statement. However, it cannot be true that the majority of students feel this way. Do some students lie about putting a lot of time and effort into a group project or do they simply remember the experience differently? In other words, are our memories as objective as we think they are or is there an egocentric bias? To assess if our memories are somewhat egocentric we must first know how memories are formed. When a memory is recalled, a specific group of neurons is reactivated. This specific group is formed by synaptic plasticity, which describes the persistent changes in the strength of connections – called synapses – between neurons . These connections can be made weaker or stronger depending on how often they have been activated. Information that is attended and rehearsed is ultimately translated into semantic information, meaning it can be recalled in the future [1, 2]. Any stimulus in the brain results in a particular pattern of neuronal activity. For example, if you think of your first love, certain groups of neurons become active. Changing the strength of existing synapses, or even removing old ones or adding new ones, is crucial to forming memories. Nevertheless, it can also be the source of errors when wrong connections are made [1, 2]. The part of memory in which autobiographical events are stored is known as the episodic memory . Research shows that when participants of a group project are asked to indicate the percentage they have contributed, most of the times the total sum goes well over 100% .The process in which memories are formed explains that when the participants try to recall the contributions each one made, they recall a greater proportion of their own contributions than those of others. Most likely because the connections between the neurons corresponding to their own contributions are the strongest [1, 3]. This example seems like an honest mistake with little consequence. However, there are many examples that are less innocent. One example is the continuative support of local guidelines for knee arthroscopy, even after a 2016 trial published in the British Medical Journal (BMJ) concluded that among patients with degenerative knee damage, surgery was not better than exercise therapy . Some surgeons who continue performing arthroscopy argue that they recall tremendous effects of the intervention, contradicting scientific evidence . A possible explanation for this difference in viewpoint is that the experiences of patients who confirm the surgeon’s prepossessed idea are stored more strongly in the memory. As of 2018, an estimated two million people per year undergo knee arthroscopy, resulting in unnecessary costs and complications [4, 6]. These previous examples illustrate the egocentric bias. This bias was first described in 1979 as the tendency to overstress changes between the past and present in order to make oneself appear more worthy or competent than one actually is . The most pronounced effects of egocentric bias are in memory. Dr. Paul Simpson, a forensic psychologist and professor at Harvard University, describes it as one of the seven sins of our memory and stresses it reflects the prominent role played by oneself when encoding and retrieving episodic memories . Dr. Greenwald, a psychologist at Ohio State University, says that people fabricate and rewrite memory to enhance their own importance in the events they recall. He also states that the egocentric bias in memory is not just fairly common, it’s universal. He explains it is simply more efficient to organize experience in terms of what happens to oneself than in any other format. The bias organizes our experience in a stable and consistent way so that we can recall it later. Greenwald suggests that this bias may account for the amnesia most people have for their very early years because a young child’s sense of oneself is not yet fully developed . Interestingly, the egocentric bias seems to diminish when people become depressed. For example, in one study, where people rated their contribution to a task over which they actually had little control, depressed people were realistic in acknowledging their lack of involvement in the outcome. Nondepressed people, however, overestimated their credit in the project. Egocentric bias may therefore even be a sign of mental health . Thus, it is almost certain that we give ourselves too much credit for the things we accomplish. The consequences of this can range from innocent, such as overestimating our contribution to a group project, to dramatic, costing our healthcare system billions of euros. The question remains whether you can blame yourself for this, as it is a universal phenomenon and a sign of mental health. Nonetheless, the next time I do a group project, I will think twice before putting my name first. Sweat, J.D. (2009) Mechanisms of Memory. pages 112-119. Cambridge, Massachusetts: Academic Press. The University of Queensland, Australia. (2018, July 32). How are memories formed? Burger, J.R. Attributions of responsibility for group tasks: The egocentric bias and the actor–observer difference. Journal of Personality and Social Psychology 45, 1232-1242 (1983). Kise, N.J., et al. Exercise therapy versus arthroscopic partial meniscectomy for degenerative meniscal tear in middle aged patients: randomised controlled trial with two year follow-up. 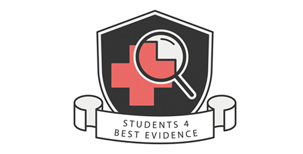 BMJ (Clinical research ed.) 354, i3740 (2016). Jarvinen, T.L., et al. Arthroscopy for degenerative knee–a difficult habit to break? Acta orthopaedica 85, 215-217 (2014). Siemieniuk, R.A.C., et al. Arthroscopic surgery for degenerative knee arthritis and meniscal tears: a clinical practice guideline. British journal of sports medicine 52, 313 (2018). Ross, M.S. and Sicoly, F. Egocentric biases in availability and attribution. Journal of Personality and Social Psychology 37, 322-336 (1979). Simpson, P. (2016, June 10) Memory in the Courtroom: Quirks Every Attorney Should Know. Goleman, D. (1984, june 12) A Bias Puts Self at the Center of Everything. The New York Times.